Enjoy the best inspirational, motivational, positive, funny and famous quotes by Andrew Dost. Use words and picture quotations to push forward and inspire you keep going in life! 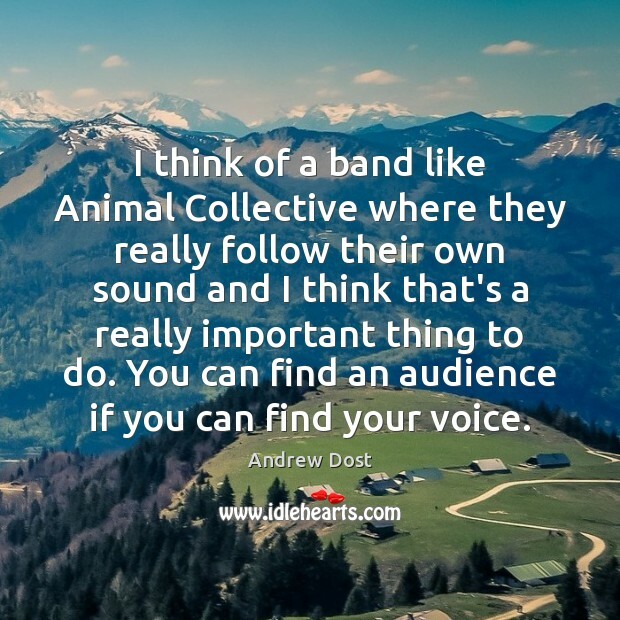 I think of a band like Animal Collective where they really follow their own sound and I think that's a really important thing to do. You can find an audience if you can find your voice. I think a lot of nice things happen when you're driving, or when you're on a plane, or whatever. There's a certain freedom that comes along with motion. 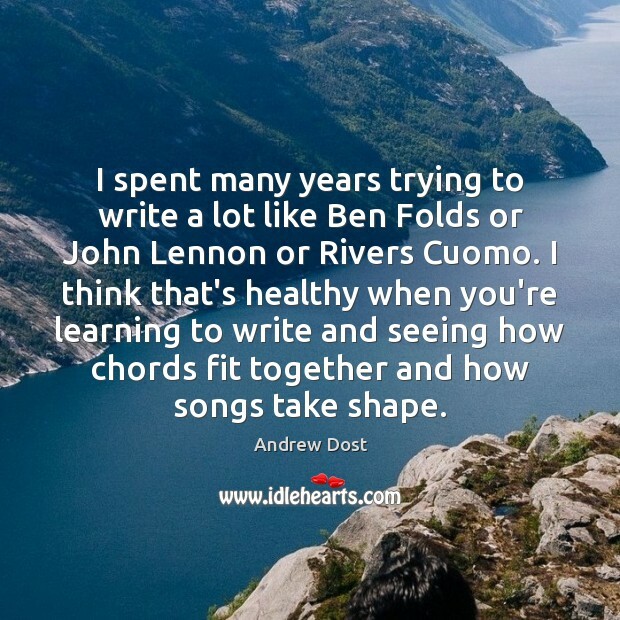 I spent many years trying to write a lot like Ben Folds or John Lennon or Rivers Cuomo. I think that's healthy when you're learning to write and seeing how chords fit together and how songs take shape. 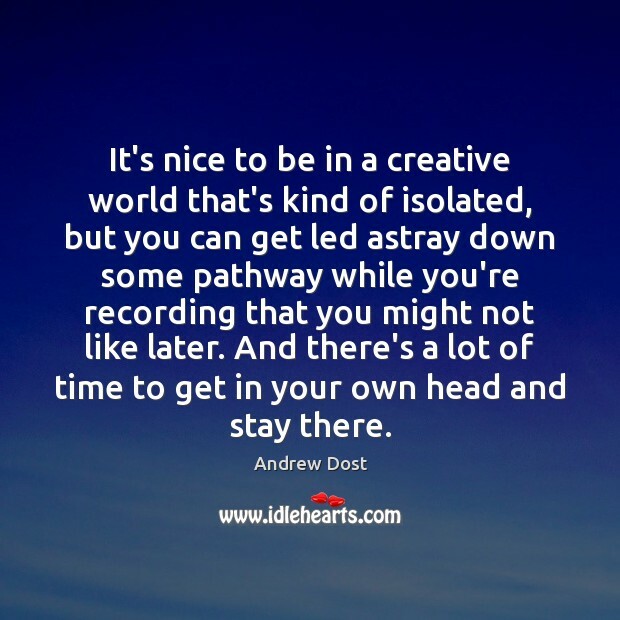 It's nice to be in a creative world that's kind of isolated, but you can get led astray down some pathway while you're recording that you might not like later. And there's a lot of time to get in your own head and stay there. 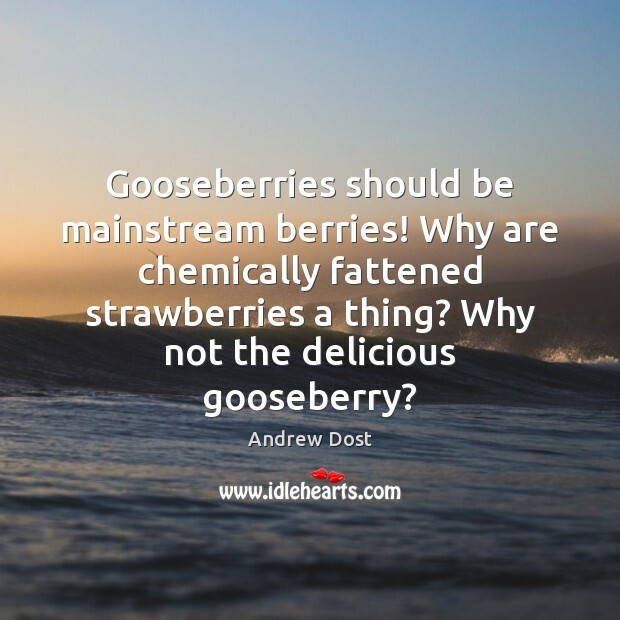 Gooseberries should be mainstream berries! Why are chemically fattened strawberries a thing? Why not the delicious gooseberry? 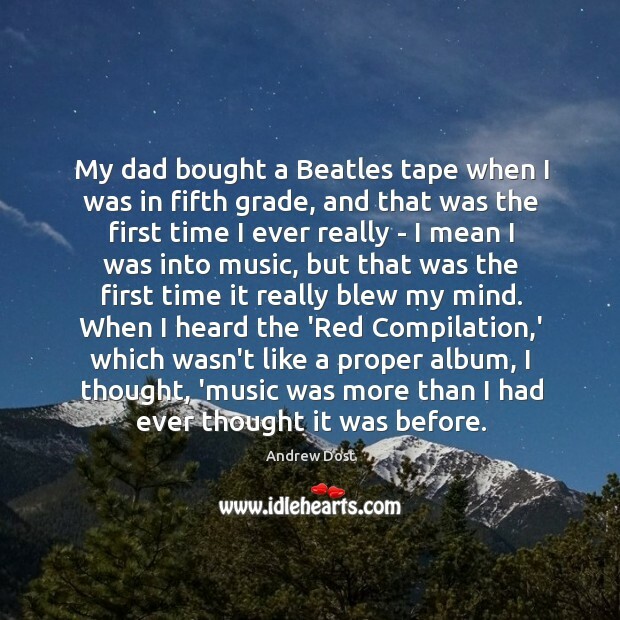 My dad bought a Beatles tape when I was in fifth grade, and that was the first time I ever really - I mean I was into music, but that was the first time it really blew my mind. When I heard the 'Red Compilation,' which wasn't like a proper album, I thought, 'music was more than I had ever thought it was before.